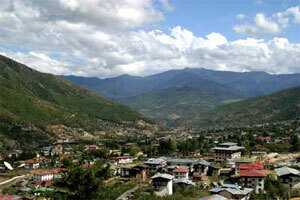 Bhutan is one of the popular for adventure tour destination in the world. The journey of Himalayan evergreen kingdom with a different living culture offers one of the best tourist destinations in the world. Along the lofty ridges of the Himalayas lies the Kingdom of Bhutan, a place that has remained blissfully untouched by the rest of the world. The Mountains are magnificent, the forests are dense surrounded, the people are delightful and charming, the air is pure, the architecture imposing every where in the country, the religion exciting, and the art superb. 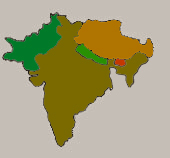 The Himalayan ranges of varying altitudes, the different flora and fauna, crystal clear streams & rivulets, the mighty all season rivers, unique traditions, dress, cultures, architecture, coupled with environment consciousness population, a highly religious Buddhist population, a unique monarchy in voluntary transition, and an economy based on sustainable development of natural resources has a lot to offer to the rest of the world. Bhutan is truly Shangri-la, a mythical country hidden deep in the mountains. If you visit Bhutan you will experience the charm and magic of country Bhutan. The tourist destination of Bhutan offers an range of exciting activities as well as some wonderful sight seeing places. We provide excellent tour and travel packages to Bhutan that will far surpass your expectations. Our tours combine traveling to some of the best tourist sites as well as indulging in adventure sports like, Bhutan cultural sightseeing tour, mountain biking, river rafting and rock climbing. Touring Bhutan is an educational and enjoyable experience of a lifetime that provides one with a deeper understanding of the Kingdom people and their histories. Whether you have an adventurous mind or a spiritual soul or simply want a pleasure tour, Bhutan has everything to satisfy you. Our cultural tours takes you to unique aspects of Bhutanese culture including visits to the sacred festivals, ancient monasteries and historical pilgrimage sites. We custom design our tours for your specific desires and can range from casual short walks to exotic Himalayan treks.Our fascinating excursions to remote villages and breathtaking temples amidst the animated festivities takes the nature lovers closer to nature than thought possible. Our guides, well equipped with fluent English and knowledge on the Bhutanese local traditions and flora and fauna are bound to take you through an experience that will last you a life time.